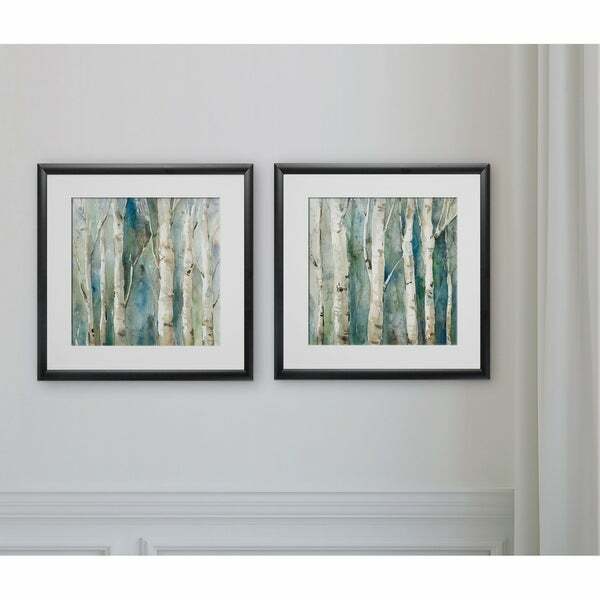 I love the look of these birch trees, with the blues and greens. The Giclee texture make it look like a canvas print. The only reason for 4 stars instead of 5 stars is the flimsy acrylic glass used for framing the picture. They still look good on the walls and unless you touch or handle them, the acrylic glass doesn't look too bad.